Though MCA had changed from its DiscoVision label to MCA VIDEODISC, INC. in late '81, many of the last DiscoVision labeled discs remained in the catalog for a number of years. Among them was the collection of ABBA videos pressed in the U.S. in large numbers (15,000+) as a single disc, 2-sided CAV release. This title was first released in late 1980. While all of the jackets are the same, there are variations in the label. 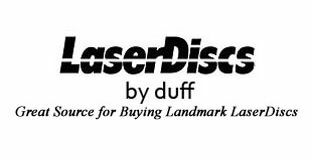 Some are the standard "Green" DiscoVision label, while others have the LaserVision logo on them. Amazingly, one copy examined has the copyright and manufacturing attributed to MCA VIDEODISC, INC.
Because ABBA was pressed so late in the life of Discovision Associates, pressing quality is better than average and it is not difficult to find a 'good' copy. There are several masterings known to exist; video/audio content is the same on all, but the chapters start at slightly different frames on each release. The video's on this disc were not seen again until the release of ABBA GOLD and MORE ABBA GOLD in the USA and Japan in the mid-1990's. Although both discs are digital, the audio and video quality is not noticably better.